So many of the disorders that afflict modern society are deeply misunderstood by the general public. Certain mental disorders, like seasonal and clinical depression 5 Ways Technology Might Be Feeding Your Depression 5 Ways Technology Might Be Feeding Your Depression Technology can worsen depression. With tech enveloping our lives, we should be more aware of technology's potential impact on us. There are some things you can do to lessen the burden. Read More , have been getting more and more attention, but others have been left in the dust. 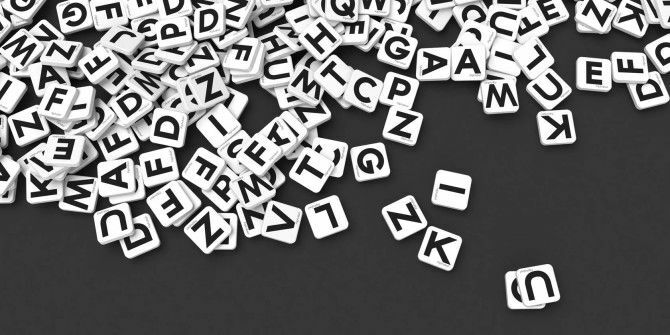 One of these disorders is dyslexia, which can manifest itself in several different ways, but the main thing is a difficulty with words — whether that means reading, writing, or spelling. In fact, it’s the most common learning disability in the world. That’s why everyone should visit Dsxyliea, a website that demonstrates the kind of struggle that dyslexic people have to deal with every single day. The ailment has nothing to do with intelligence or aptitude — as you’ll soon see the moment you open the page. Admittedly, the website shows how dyslexia would manifest in an extreme case, but the general concept is sound: letters seem to “jump around” at random, which means reading takes a whole lot of concentration. Was this as eye-opening for you as it was for me? If you have any other websites like this that help provide glimpses into certain disorders, please share them with us in the comments! ResponsiveCV.com is a good one to add to the list. It provides mobile resume with QR code instantly. I didn't have much trouble reading the passages, but noticed that the more complex the word, the more trouble I had. I'm already an accomplished reader, so it's not too hard for me to figure out what word I'm seeing, but I can see that somebody trying to learn to read would have a terrible problem. Reading this is like listening to Sarah Palin talk. I used to think of Dyslexia as letters transposed... didn't know that letters actually change dynamically and continuously! Same! This app made me realize that my understanding of dyslexia was wrong and made me more sympathetic to the struggle of dyslexics.